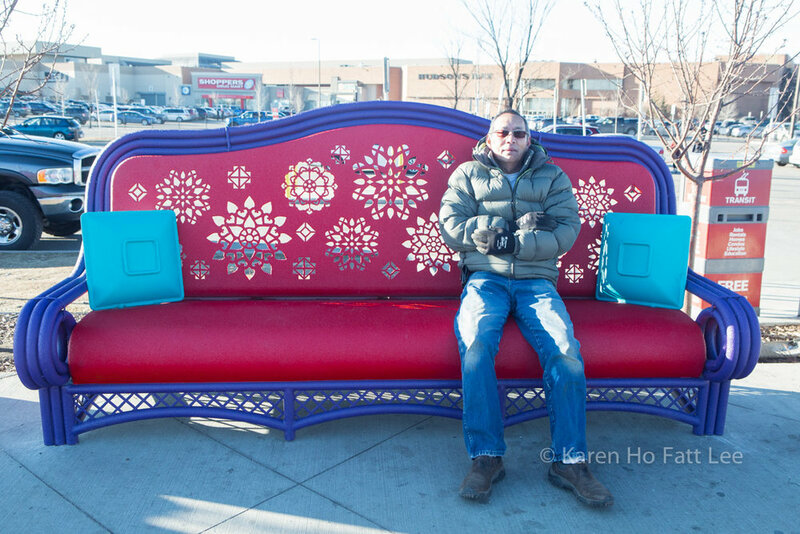 The humble sofa metaphorically symbolizes community hospitality and welcome. This symbol of the home is recontextualized in an urban setting. Traditional (historical), transitional and modern styles alludes to the ethnically diverse community of Rundle; its oldest residents, second generation and younger generations of families. The Traditional style sofa represents the old school, the families and individuals who have lived in the community for a substantial period. It is classic, historical and formal in feel. The Transitional style represents those who travel between the old and new generations, it connects the old with the new. The sofa reflects East Asian heritage and origins. The rattan style is seen in the tropics, the Caribbean and worldwide. The Modern style is fun and playful representing the younger generation born in Canada and newcomers to the community. The intense colour reflects the bold colouration often found in ethnic textiles. Different decorative geometric and arabesque motifs are derived from traditional fabric patterns from various ethnic groups that reside in the community. The contrasting elements blend in harmony. 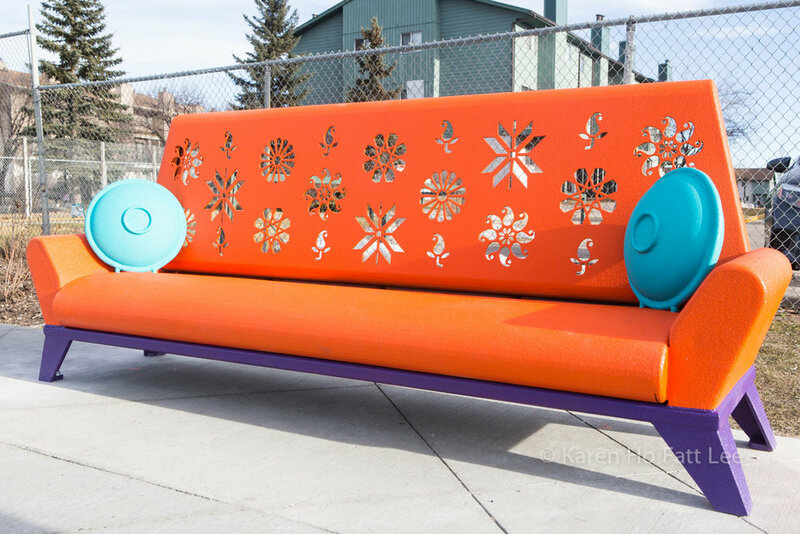 The motif reflections move across the benches as the sun moves, adding a dynamic quality that represents a vibrant and active community that is on the move. These cut outs also reflect traditions of paper cutting found in many cultures, and architectural elements such as traditional screens; Indian jalis and Arab mashrabiyas. The scale of the pieces, highlights the notions of welcome and hospitality. 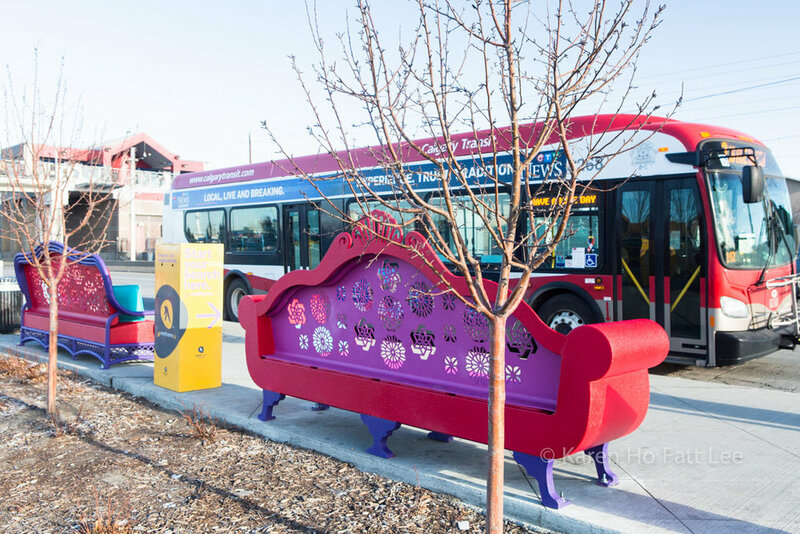 These urban furnishings reflects unity and harmony in this community's rich cultural diversity. 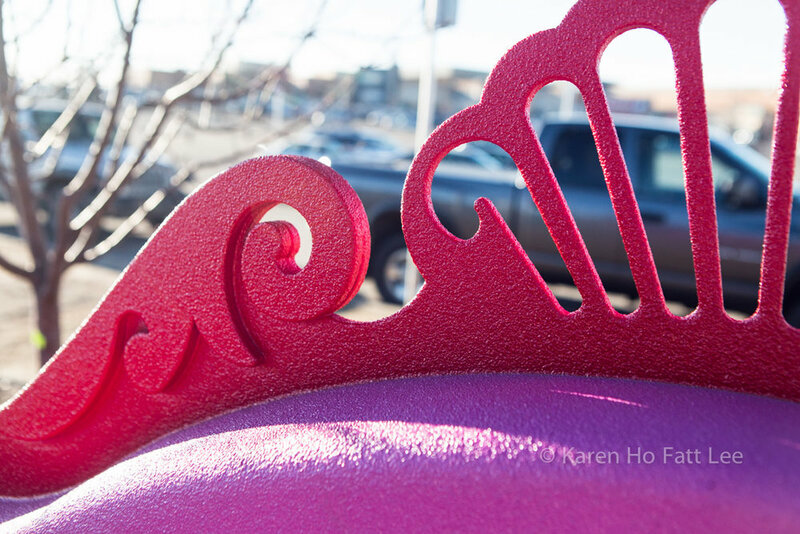 Commissioned by the City of Calgary. All Art and Design Copyright © Karen Ho Fatt Lee.